Wanted to make a reference of some kind for Gerran - not sure I'm final on the last name yet, but it's appropriately wizardly for the moment. In my canon/fiction felines are typical the smart types- scholars, tinkers, inventors, and wizards. Gerran is one of the best and brightest too. Spending years studying a wide variety of schools of magic ranging from simple elemental magics to complex runic magics. 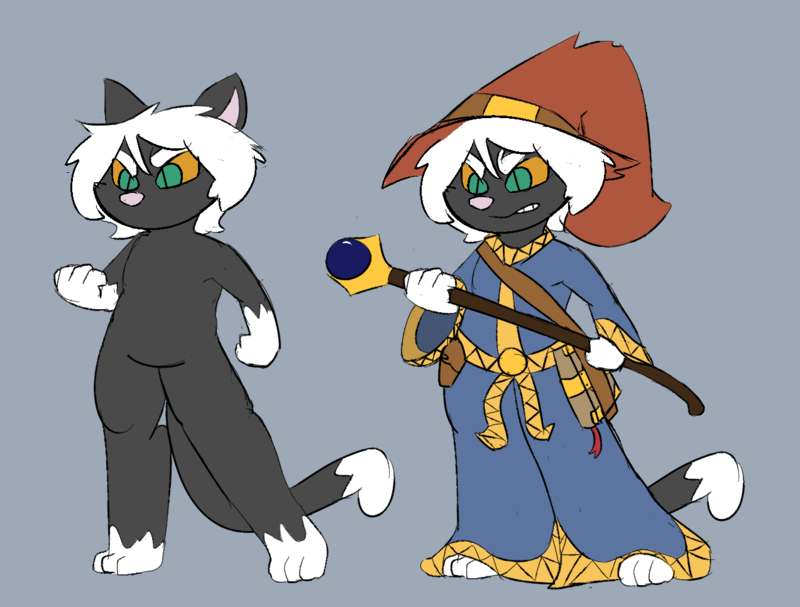 His studies and practice into time magic have had some side effects - splitting his personality in two - his younger self, eager to learn all there is about magic, and his older self, set out to find and protect magical artifacts.